Inside the chapel in the Carmelite monastery of Lisieux France where St. Therese of Lisieux lived her vocation of love. 3D Catholic (Free) iOS and Android Developed by University of Notre Dame’s Institute for Church Life 3D Catholic app is designed to promote three traditional Catholic practices of prayer, fasting and almsgiving (works of mercy). But the developers hope users go beyond a one-shot attempt, so they programed in unique features designed to help the user develop a daily habit of engaging these practices cultivating a life-long practice. This is achieved by joining a community connected through this app and by setting daily reminders for prayer, fasting and almsgiving (including works of mercy). Produced by the Redemptorist Congregation, this is a daily meditation aid providing prayers for reflection and meditation. Prayer archive allows users to search past entries by category so that they can reflect on prayers that match their concerns, for example: Courage, A just world, Relationships, Hope, Hard Times, Faith, Forgiveness and special intensions (calendar days of prayer and reflection). All prayers can be shared via social media with a tap of the screen as it has integrated social media capabilities. As its name implies, this is an app loaded with a long list of famous, traditional Catholic prayers for various occasions, topics and needs. You can get most of these prayers imbedded in other apps. What makes this app different is the daily reminder feature for each prayer to help you remember to pray and to pray with some consistency. You can even use a location-based alarm feature to remind you to pray when you reach a particular location like your home. This app gives you the ability to bookmark prayers and share your favorite short prayers through Twitter, Facebook and email. iPieta. ($2.99) Full version in Apple. Android version is split up into several lite apps. Calendar for Ordinary Roman Calendar and Extraordinary Roman Calendar (1962). Butler’s Lives of the Saints –complete with an optional audio version (English) you can download separately for each saint or holy day. Divine Mercy app (Free) also contains a beautiful Way of the Cross. Android or Apple. This probably is the #1 free Catholic app because it is the most comprehensive and at the best price! You get Daily Mass Readings, New American Bible, Rosary, Chaplet of Divine Mercy (on Rosary screen), Stations of the Cross, various prayers and prayers in Latin with English translation. Podcast for Rosary and Stations. Daily Meditations. Podcasts of Daily Readings and meditations. Launcher for iCatholicRadio. Ability to bookmark prayers and create own categorized prayers. Export/Import for prayers. My Prayers lets you store your own prayers. About the rosary on this app…it is unique in that it is a giant photo of a rosary with animated hot spots that indicate which one you are to touch to pray. It visibly keeps track of the beads for you as you pan the screen to cover the rosary that is pictured in its entirety. Consider it a 2-D version of the rosary. Available in English, Español, Português, Italiano, Bahasa and Polski. Need Prayer (Free) Android only. Need a priest to pray for you? A Catholic priest has an app for that and welcomes you to contact him via this format. From developer: This app is primarily for people who need prayer. You can submit your prayer intentions to Father Rosado, a Catholic priest who will pray for you. Please do not mention anything illegal in your prayer intention. With this app you can also follow Father Rosado on social media and call him. iMissal ($4.99) in Apple , Android, Blackberry, Windows Phone, Kindle Contains a wide variety of Catholic prayers and devotions like the Rosary. With this app you also get an excellent daily missal (English 3rd ed. ), a Catholic news feed (requires internet to access), daily Scripture verses, audio of the readings for Mass each day and an interactive Catholic liturgical calendar you can access at any time. Most elements are accessible off line. 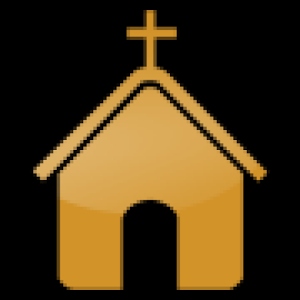 Prayer app-($2.99) Apple –Easy-to-use, multi-language Catholic/Christian Prayers database. More than 2,000 Catholic prayers–the ultimate reference to Catholic Prayers for your iPhone and iPod Touch! Keep handy all of the Common Prayers listed in the Compendium of the Catechism of the Catholic Church and many more sources. Among available prayers you get: Blessings, novenas, Way of the Cross, prayers for various occasions, 150 Psalms, Marian prayers. The other added benefit to this app is the seven language options: English (UK and America), Latin, Italian, German, French, Portuguese and Spanish. This is a highly desirable feature if you wish to pray with others who speak a different language; if you are traveling; if you wish to learn various prayers in different languages. Of course, the language option opens up this app to a huge audience. Location sensitive to your area (interesting). Ability to set up a “favorites” list. Novena ($.99) Apple A Novena (Latin: Novem, meaning Nine) is a pious devotion of public or private prayers repeated for nine consecutive days calling on Our Lord and his saints for help with various earthly struggles. This app lists no less than 100 different dilemmas and concerns divided into four categories: health, occupation, situations and states of life. The app helps you locate the particular saint the Church has chosen for intercession in your concern along with his/her inspiring story–pious, vintage holy card artwork supplied for each saint. Don’t look for elaborate novenas that serve up a different prayer/reflection for each day with this app. You get a single simple prayer that you offer each day with your intention inserted. Search feature included. We would love to see future updates with new saints like St. Therese of Lisieux’s parents -Louis & Zelie Martin (October 18, 2015 canonization). Developers report that Android format and Spanish language option are in the works. Often, we think of saints as having been very different from us. However, their lives and ours bear striking similarities. They suffered loss, disappointment, rejection, disease, heartache, or addiction just like us, the not-yet-so-saintly. Where they differed is perseverance. You and I are still in the thick of it. For the saints, obstacles were no less real, but they did not discourage their faith in a God who loved them, and through that love transformed ordinary human beings into exemplary models. Catholic Meditation Apps (Free) Apple and Android. Pauline Press offers four different meditation apps by Georgiana Lotfy which, according to developers, “re-imagine hope for people living in today’s complex and stressful world. Most of us would love to find ten minutes of peace a day to feel calm and meditate and reflect on what we want to be and do, on what God might desire for us. We wish we could find a way to unwind so we’d live with less tension and more joy, able to meet the troubling situations of our life with more grace. But where do we begin? If we can’t calm down, how can we reflect? If we’ve never been taught how to meditate, how can we pray more deeply? If it’s too difficult to be still in our chaotic schedules, how can we hear God speaking?…Lotfy’s guided meditations make it easy to begin and help you find the inner joy that will give you new hope.” Choose from Desert Healing Meditation, Abundance in 21 Days, Ocean Healing Meditation, Room to Breathe. 3-Minute Retreat ($.99) Apple only –Loyola Press’s highly popular 3-Minute Retreat is available for iPhone or SECOND generation iPod Touch. Loyola’s web site has full overview of this app. “Enjoy a daily reflective prayer retreat wherever you are… Each day, a new retreat featuring soothing music, Scripture verses, and reflective thoughts and questions comes your way…meaningful time with God is always just a touch away.” You control the pace of the retreat. English. Catholic Meditations on Purgatory (Free) Apple only [iPhone/iTouch/iPad on iOS 7 or later] To encourage you to pray for the holy souls in Purgatory, this app offers daily devotions for a period of one month with notifications (you set the time) to help you to remember. According to developers, content is based on the book, “The Devout Year” by Rev. RF Clarke, SJ., and includes points of Catholic doctrine regarding Purgatory and the dire need to pray for those souls awaiting Heaven. “On many questions respecting Purgatory, vague and even false notions are very common among Catholics. It is the object [of this content] to instruct unto justice as well as to lead to the practice of good works.” [book quote in app’s introduction] You can choose from various meditations offered (like “How to avoid Purgatory”) or go to the daily, randomly selected meditation. Central to the app is Psalm 130, “De Profundis,” a traditional penitential psalm. Each meditation walks you through three points and then the subsequent adoration, reflex action on yourself, petition, resolution, colloquies and conclusion. Appreciated is the option to email, Twitter, Facebook, text message content. You can also copy content to paste. Text zoom available. Catholic Prayers (Free for sample talks–upgrade to full version for a fee) Apple and Android. This app is not a collection of audio prayers, although you will have recording of the Rosary and Divine Mercy Chaplet. This app offers instruction about prayer and meditation along with a history of popular devotions like the Rosary. The recordings are all vintage and sound it. Expect to hear scratches and pops as you would listening to an old record on a turntable. Hare’s a video demo of this unique app. You’re not alone when you pray. 365 Days With Mary (Free) Apple | Android Our Sunday Visitor brings you a Marian app designed to bring you closer to Jesus through Mary through fostering the habit/practice of daily devotion to her. This app was developed as part of the 100th anniversary celebration of the apparitions of Our Lady at Fatima in 1917. This app comes to you fully loaded with a variety of Mrian resources–text, video and audio! You get a rosary guide (English and Spanish); Divine Mercy Chaplet guide; daily Marian reflections; Stations of the Cross reflections (audio option); popular Catholic prayers; Works of Mercy listing; the Pope’s prayer intentions (video included); information on Our Lady and more. You may set up reminders (phone/tablet alerts) to help you remember to pray daily. Take a test drive of this app here. Evotions ($.99) Apple and Android–eVotions are a series of digital devotions designed for tech savvy Catholics. Free Catholic Android Prayer App, Litanies and soul refreshing prayers. http://www.discerninghearts.com has an awesome app for people who want to grow in spirituality. Please check out our “Novena App”. It is a compilation of 36 popular novenas with beautiful images and histories of the individual saints. Visit our site Novena.com or https://itunes.apple.com/us/app/novena/id631346670?mt=8 to get the Novena App. Hi all, please check out my new App it’s called PAX CHRISTI, it’s a rosary and praying APP in 3 languages which includes a built in social network. It is free and available both for iOS and Android. At least each time it turns on and is on time! There is no problem with the energy saving mode.